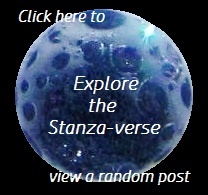 Nature, naturally | What Rhymes with Stanza? When I think about the best parts of living in the Pacific Northwest portion of the United States, I think of the diversity of nature. With my home situated near Portland, Oregon, I am just hours away from beaches, forests, mountains and high desert (with the occasional urban area thrown in). This week’s Daily Post photo challenge asks us to show images of where we live. I just happen to have a ton of photos 😉 , but I’ll narrow it down to a handful. Mt. Saint Helens in Skamania County, Washington State. This volcano erupted most recently in 1980. Columbia River and the Vancouver, Washington river bank. This entry was posted in nature, Oregon, photo challenge, Photography, Washington, weekly photo challenge and tagged Columbia River, Mt. Saint Helens, nature, Ochoco, Oregon, Pacific Ocean, Painted Hills, Washington, weekly photo challenge. Bookmark the permalink. Oh, Sancho Panza is a new one! I’ll add it to the list on my About page! Thanks! They’re all amazing pictures, but the one with the Painted Hills is the most intriguing and mesmerizing. What a feast for the eyes. Yes, and they apparently change appearance significantly depending on time of day, weather, etc. You see it anew each time you visit. Thanks for commenting. Beautiful, every one. We truly live in “God’s Country”. Thank you, this is so pretty, the words and the images. I live North of you but all these sites are familiar and I love them all! Thanks for the tour! This truly is a wonderful place to live! Thank you for commenting.